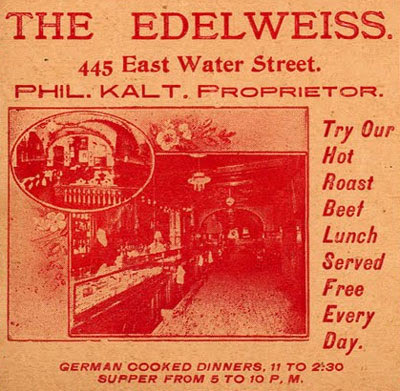 This is the oldest Milwaukee tavern card in my collection, and one of the oldest I've ever seen. It's an odd size - 17½ x 11½ inches. The graphics aren't as strong as they would be in later years, but there is still plenty of visual interest. Charles Burghardt's sporting goods shop is still in business, although they have long since moved from "near City Hall" out to the suburbs. I bought my high school letter jacket from them, many years ago. 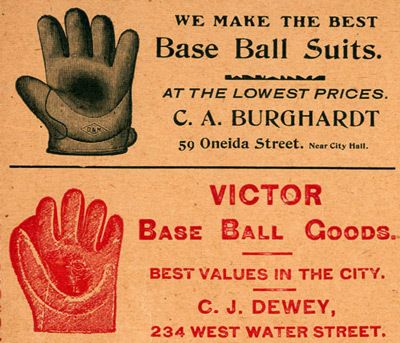 Charles Dewey's store, later renamed Dewey's Sporting Goods, supplied uniforms to the Brewers for a period in the 1910s. 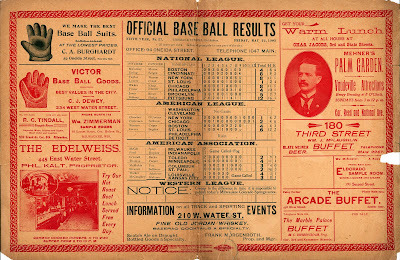 Of course, while the ads are interesting to us now, the real purpose of this card was to chronicle the "Official Base Ball Results" of May 22, 1903. 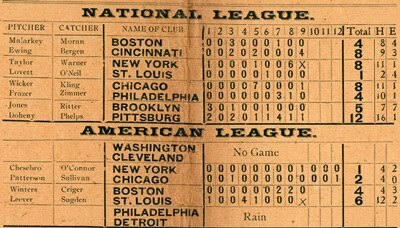 The card contains box scores from the two major leagues. Note the spelling of "Pittsburg"; in 1890, the city lost its "h" as part of President Benjamin Harrison's attempt to standardize place names across the United States. The change lasted until 1911, when the city's original spelling was restored. The card also gives the American Association scores, of course. 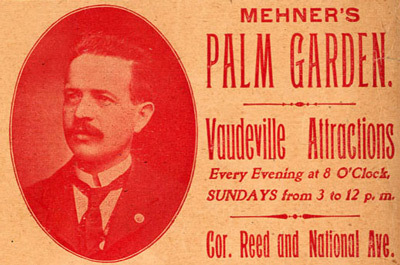 The better to promote the hometown Brewers, who on this day had their game in Indianapolis called on account of fog. And right underneath the AA scores is something interesting; a reference to Milwaukee's Western League club. They were playing in Colorado Springs, then too far away for reliable reports by press time. 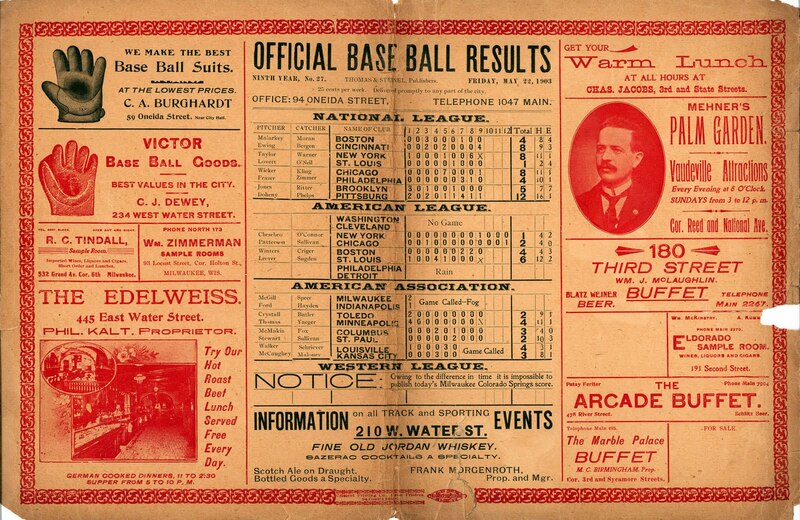 Milwaukee in the early years of the 20th Century was a curious battleground in the war between competing minor leagues. In 1901 the American League had decided the Cream City couldn't support its one club (moving the eight-year old Brewers to St. Louis) but by the following year Milwaukee had two. That war was short-lived, obviously won by the Brewers, and is a story for another day.